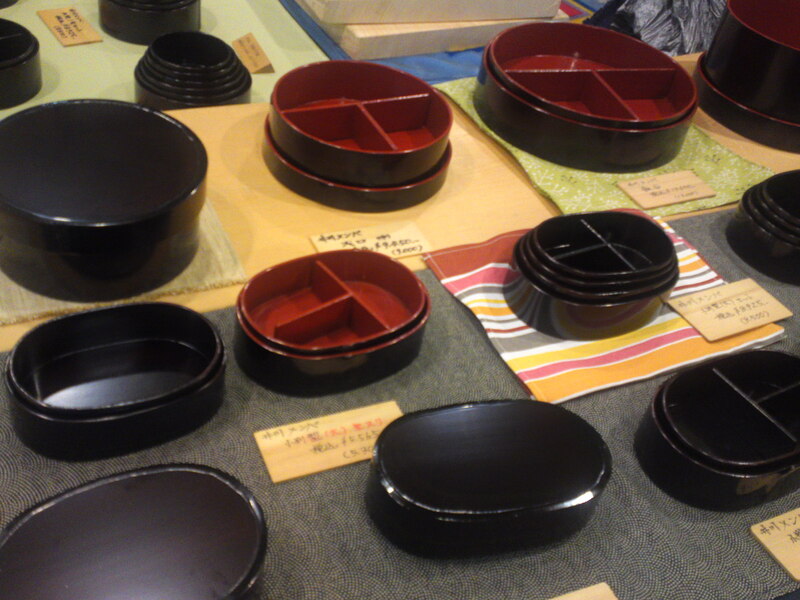 Lunch Box: Ikawa Mempa Bento Boxes by Artist Craftsman Yoshiaki Mochizuki! 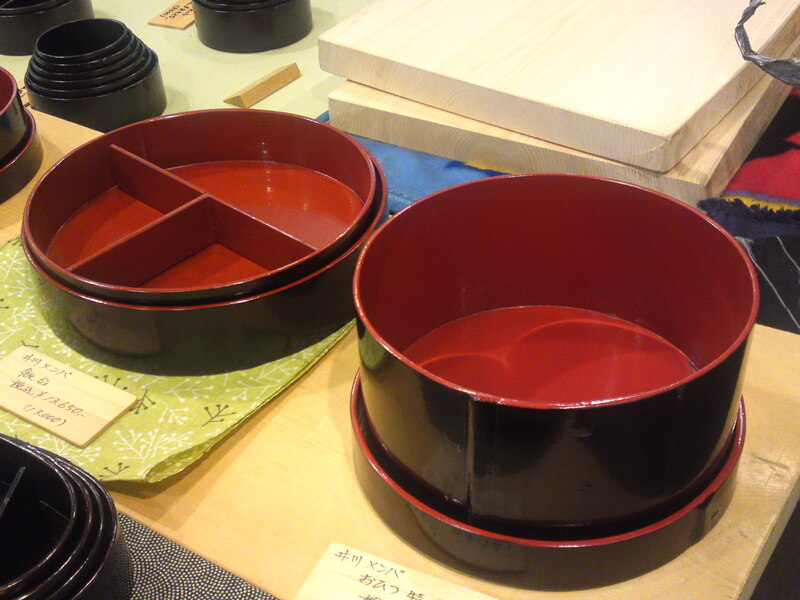 Although the concept of bento boxes has presently become known all over the World, few, especially abroad/away from Japan, have had the occasion to savor food out of traditional boxes made of highly quality lacquer wood. There is a simple reason to that: very few artists are still alive plying their trade and craft in an age where almost everything is made of cheap plastic or metal. Whereas fancy modern bento boxes might possess the appeal of novelty, they will never enhance the sensation, design and taste of the food they contain as much as traditional ones. 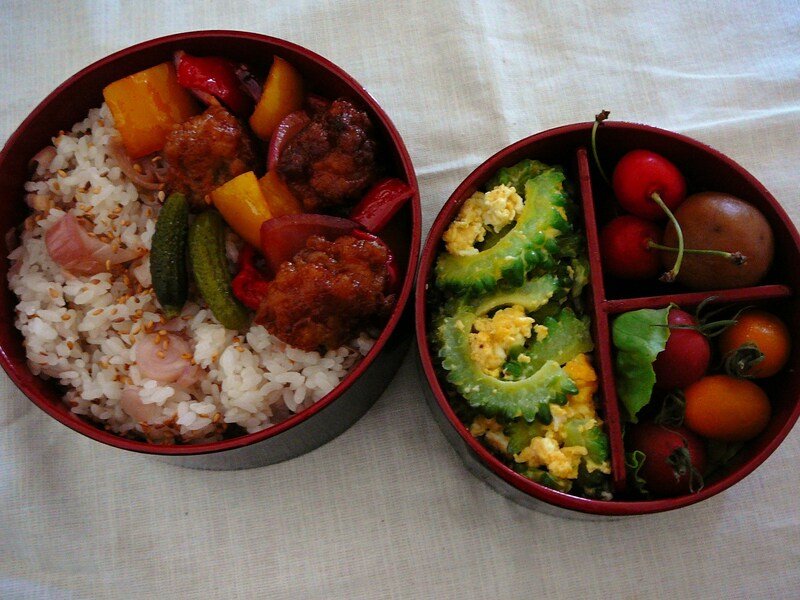 There is also a widespread misconception that bento boxes are conceived for children’s lunches. When you discover the looks of sheer envy from work colleagues when they espy one of theirs opening such a box to start a beautiful meal prepared by a loving one you will be convinced that you are indeed missing a true gastronomic experience whatever the cuisine you enjoy every day! 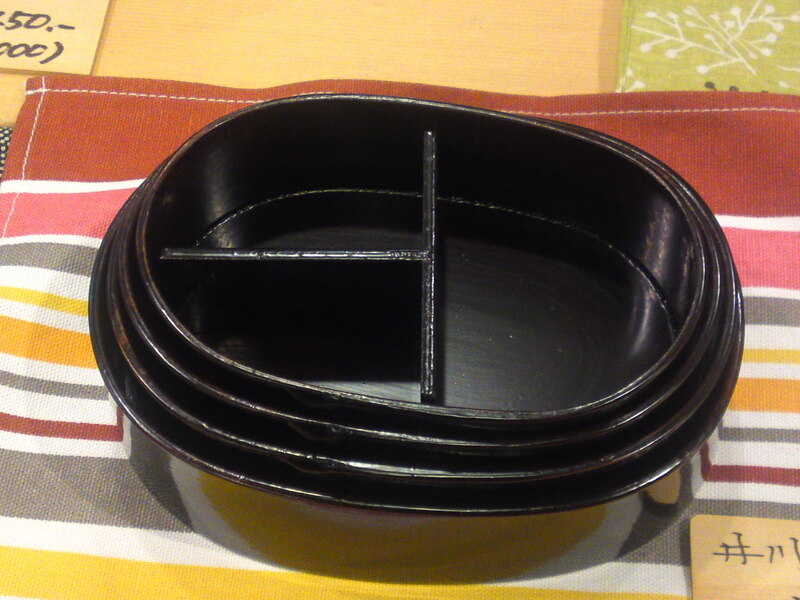 This is the beauty of bento boxes: there is no limit to what food or gastronomy they might contain! 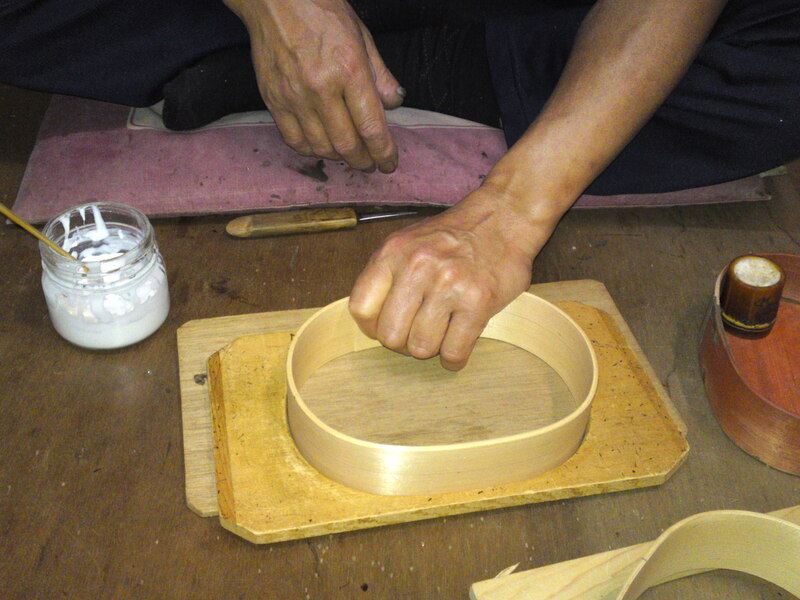 6th Generation Ikawa Mempa Lunch Box Craftsman: Mr. Yoshiaki Mochizuki/望月義秋さん! 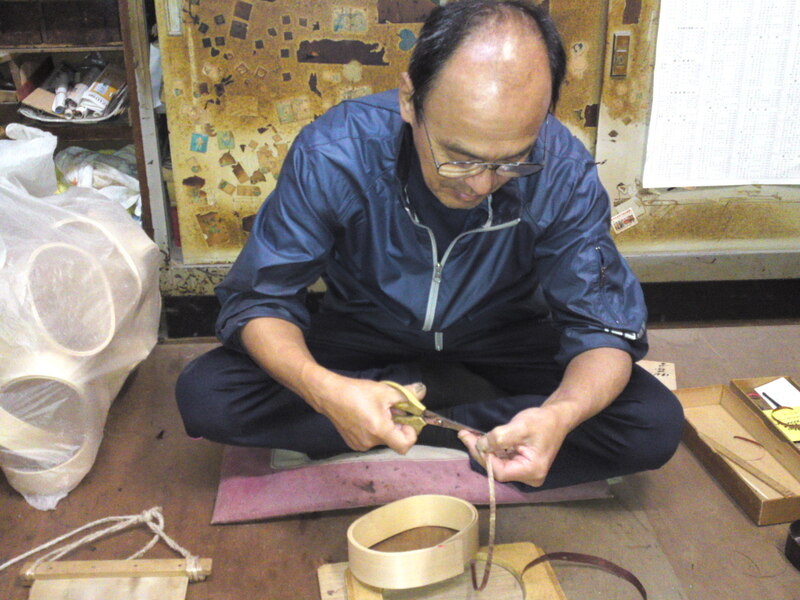 Here in Shizuoka Prefecture, Shizuoka City to be more precise, we are blessed with one of the very few true artists surviving, namely Mr. Yoshiaki Mochizuki/望月良秋, the Sixth Generation of the famed Ikawa Mempa Lunch Boxes craftsmen. Ikawa/井川 is a village located high in the Mountains of the Japan Southern Alps at the northern tip of Shizuoka City. 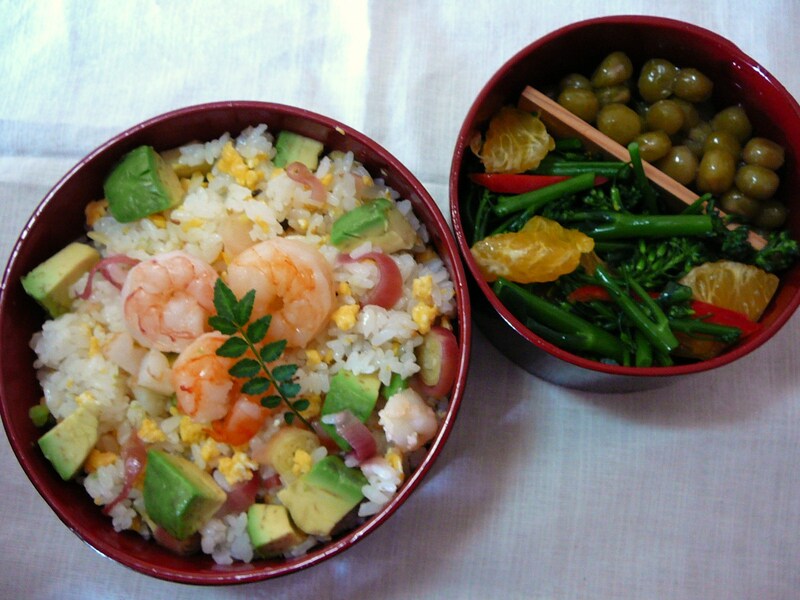 Mempa/メンパ is the name of the traditional lunch boxes created from hinoki/檜/Japanese Cypresses and Yamazakura/山桜/Mountain Cherry Trees found there in their natural environment. Although it looks simple enough, the craft is a very precise one and only years of dedication and painstaking work may result in true masterpieces. 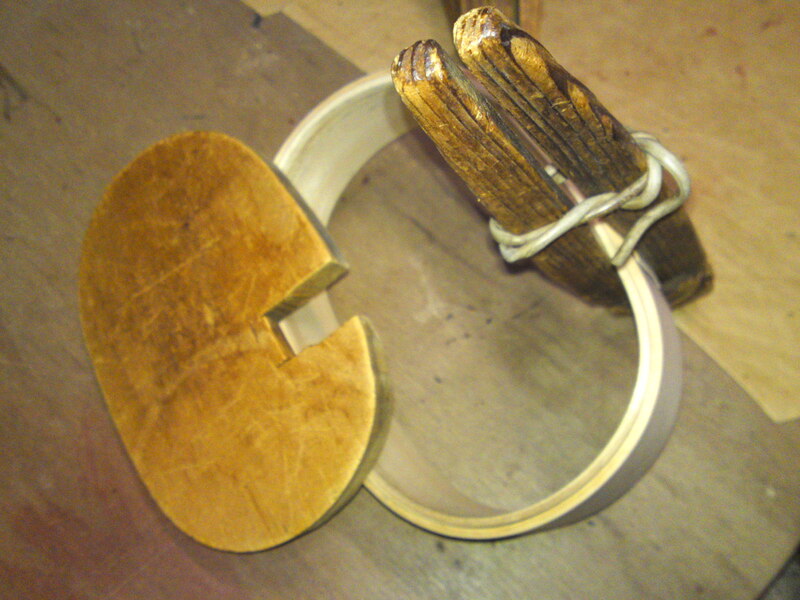 Kobangata/小判型/oval-shaped which accounts for 80% of the production. 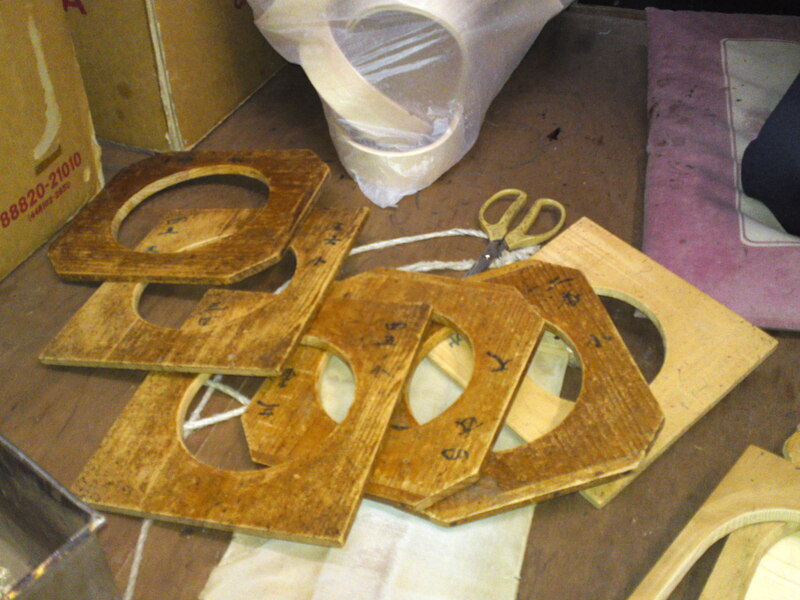 The process is basically the same for all, be they round or oval, single, double, triple-tiered or even more. 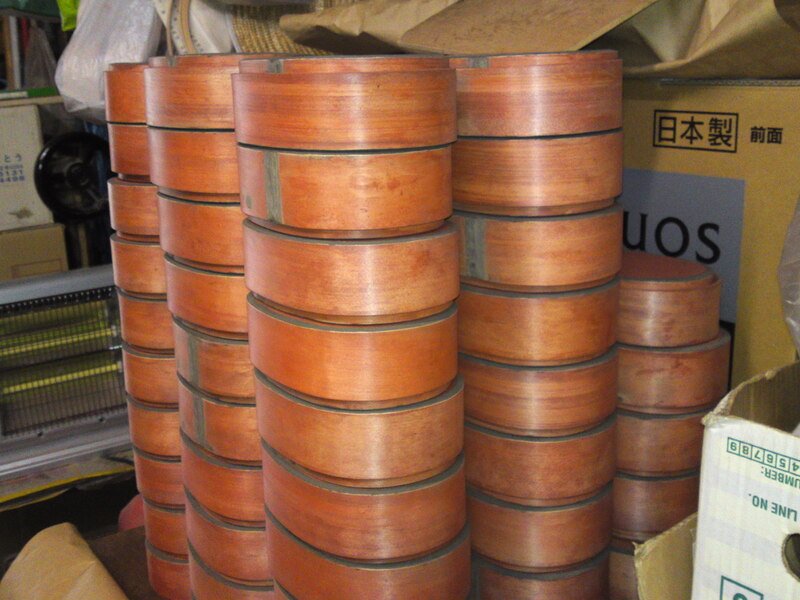 Hinoki/檜/Japanese cypresses are measured and cut out into slats according to the size of the bento boxes. Rounding the edges with a curved plane. 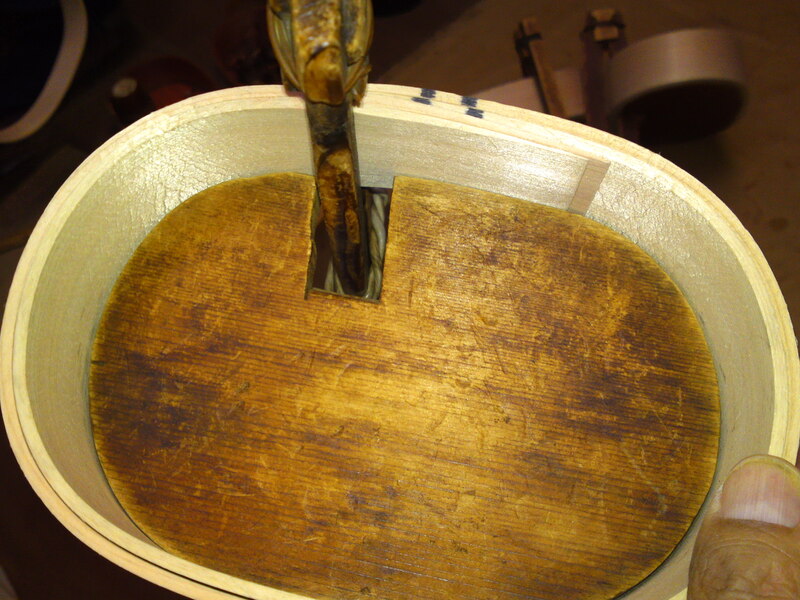 Thinning areas where the wood parts come into direct contact to avoid disformation. 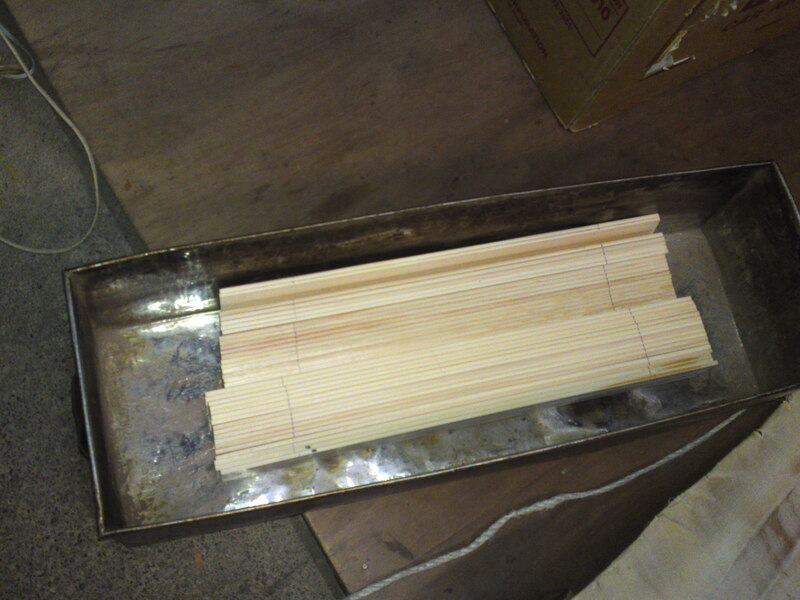 The hinoki/檜/Japanese cypress slats are softened by boiling them into water for a full hour, after which they will be curved with the help of a tool called “koro/ころ”. 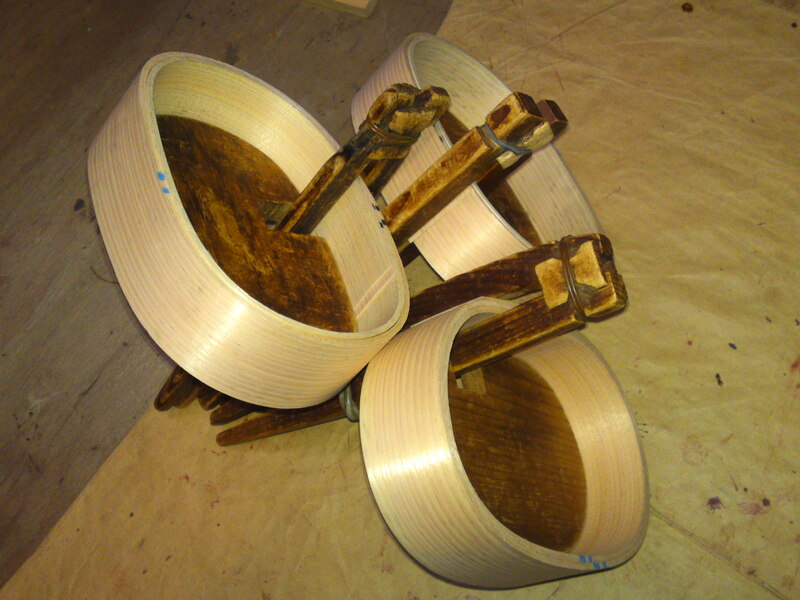 The curved wood slats being secured wooden pegs are left to dry in sunlight for 2~3 days. 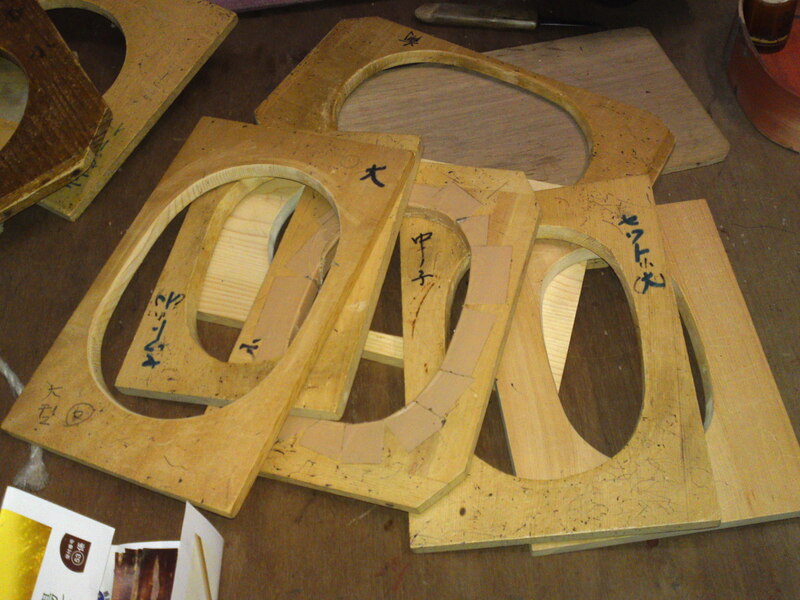 After square holes have been have been cut out, the slat is secured with strips of mountain cherry tree strips. 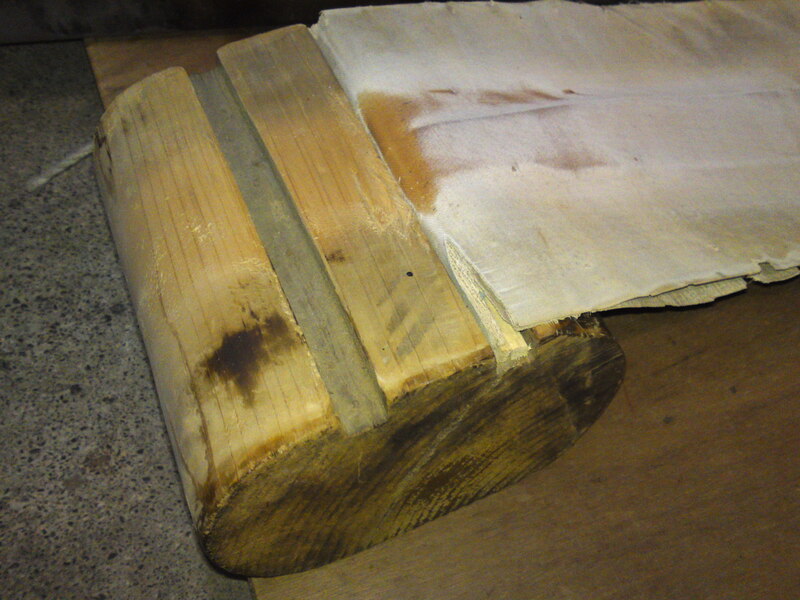 The bottom of the lunch box is cut out of a plank of the same tree in the desired shape. 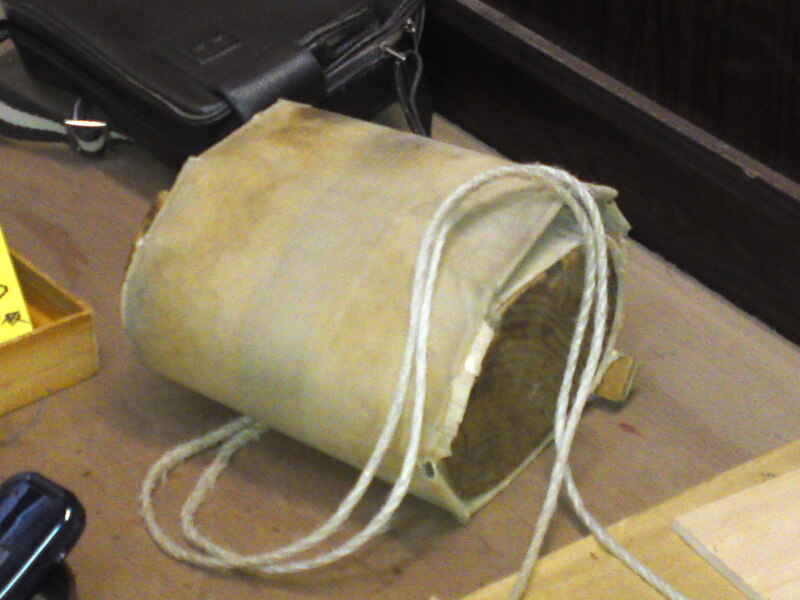 The wood is painted twice with a mixture of unripe persimmon powder (kakishibu/柿渋) and red iron oxide powder (bengara/弁柄) to harden it. 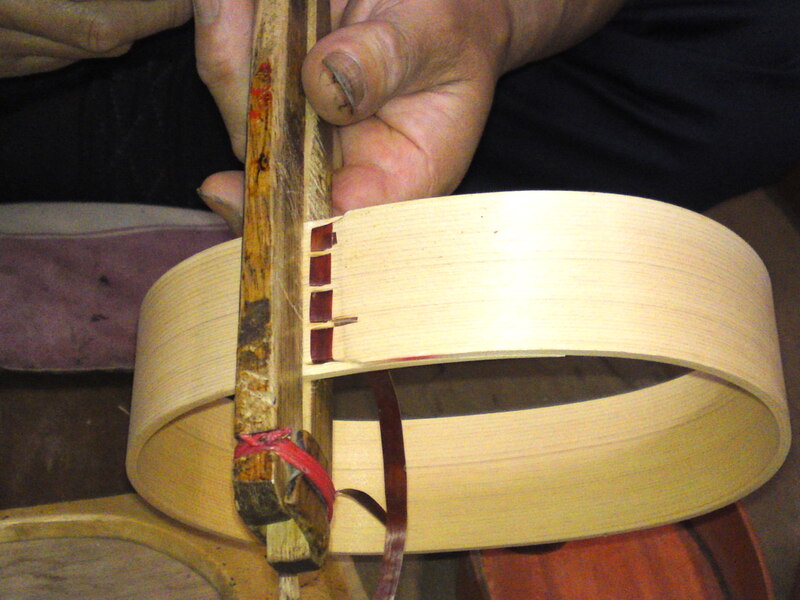 The space between the bottom and the sides is filled with two layers of lacquer instead of glue. 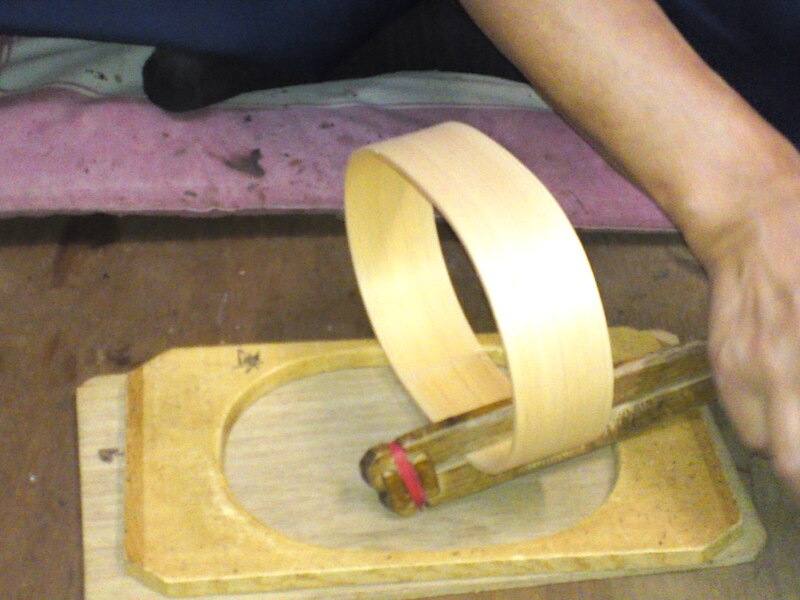 A mixture of fresh lacquer and whetstone powder is applied on the bottom and the cherry tree strips with a bamboo spatula. 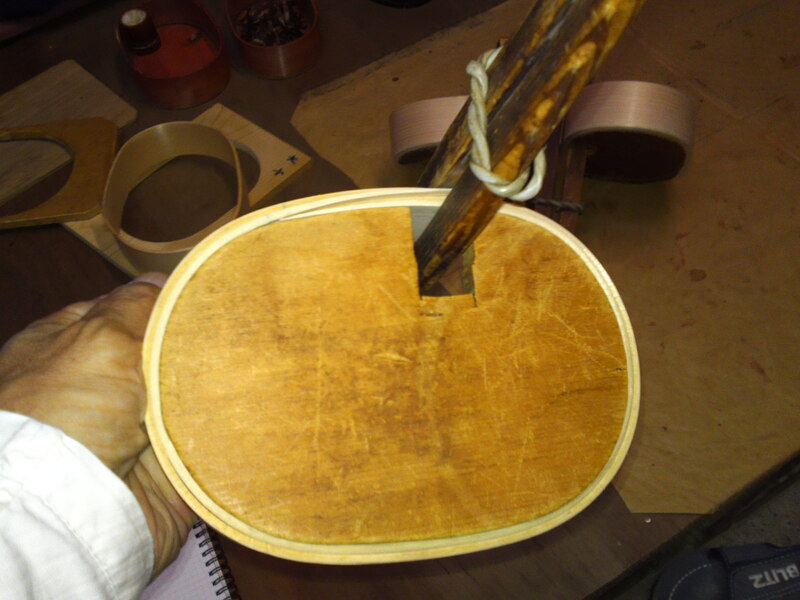 The dried lacquer is smoothed over with a wetted piece of(No 360) sandpaper. 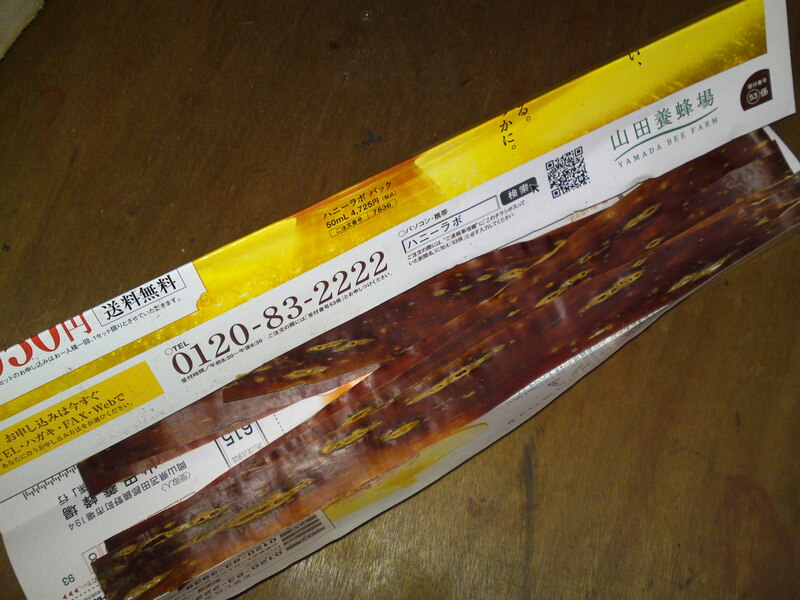 The whole box is painted again with a mixture of kakishibu/柿渋/unripe persimmon powder and bengara/弁柄/red iron dioxide powder. Once dried, any dust is carefully wiped out. 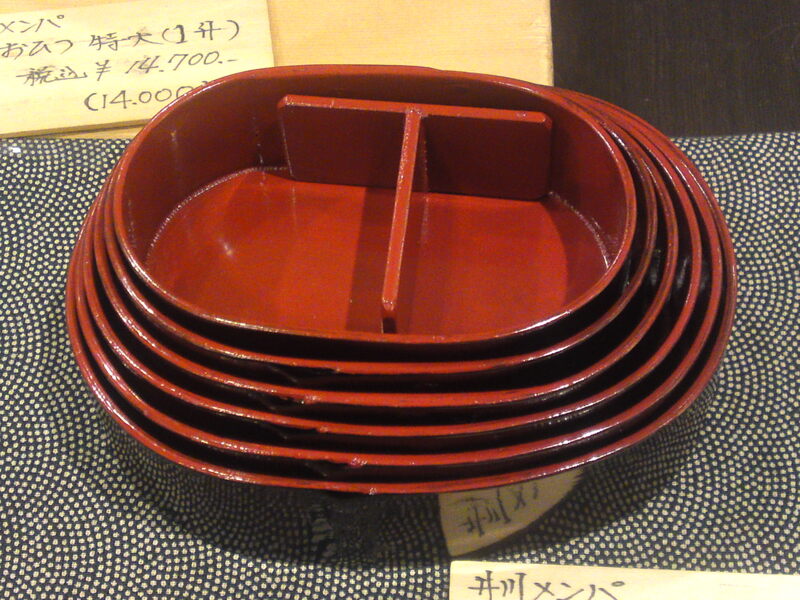 The whole box is painted with lacquer 2 or 3 times in a room free of dust. The boxes may be painted all in dark colors or bright red. 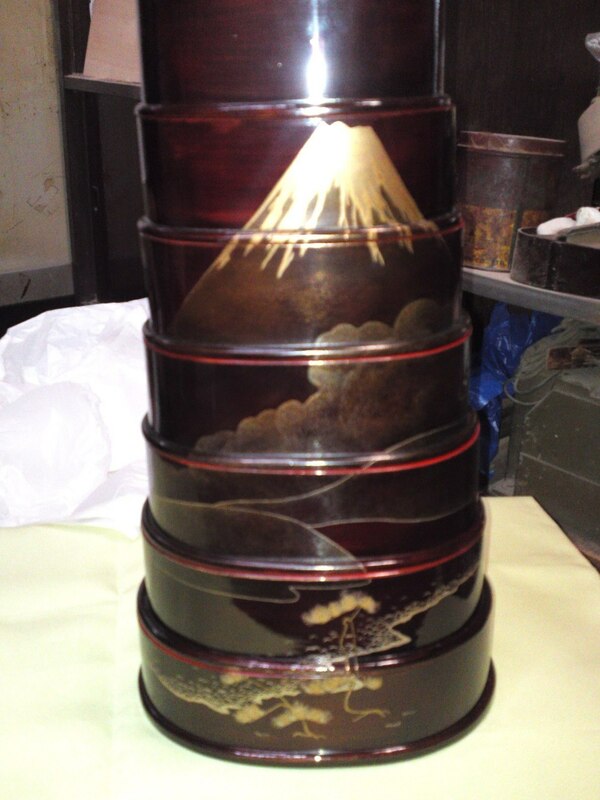 Seven-tiered lunch box with a Mount Fuji scenery gold-painted with a hair brush! 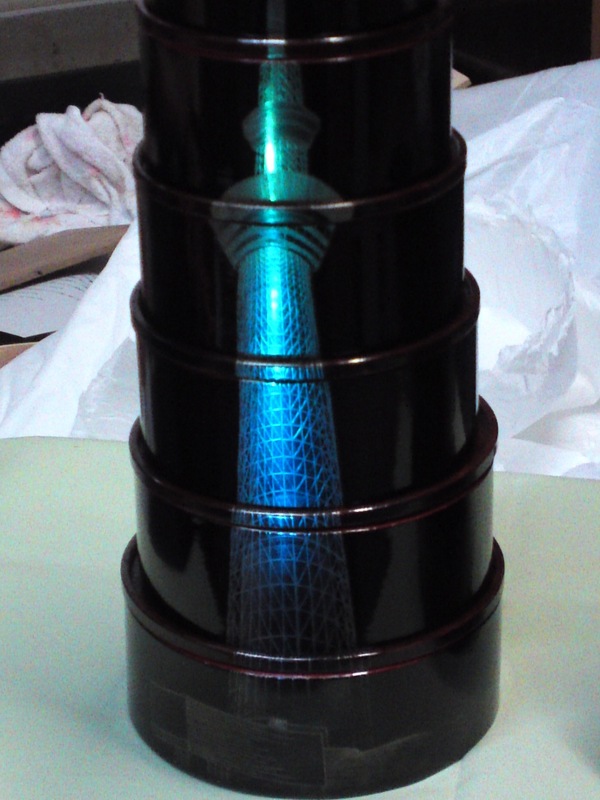 Seven-tiered lunch box with a scenery of the Tokyo Tower gold-painted with a hair brush and reflecting the light! Needless to say that there exists only one unique piece of each of these two masterpieces although Ikawa Mempa Lunch Boxes can be order-made!